Welcome to the new Embassy Suites Savannah Airport hotel just five minutes from the Savannah/Hilton Head Island International Airport /SAV/ and twenty minutes from historic downtown Savannah. Situated adjacent to Interstate 95 our full-service upscale Savannah GA accommodations offer an exceptional product amenities service and value. Pooler GA is adjacent to the airport and is part of Savannah. Our tastefully-appointed all-suites hotel in Savannah GA includes modern conveniences and amenities suited to the savvy business traveler and leisure traveler alike including large desk 32-inch high definition televisions wet bar high-speed Internet access mini-refrigerator and microwave. 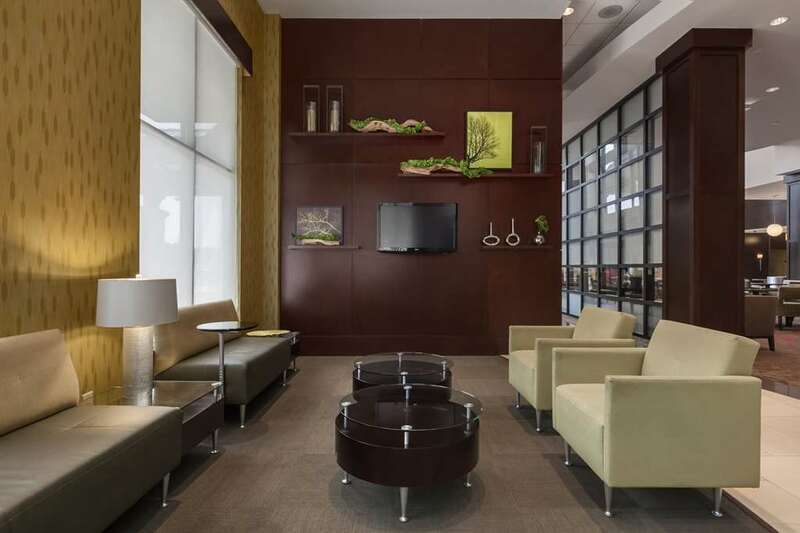 Additional hotel amenities include 24/7 business center and fitness center indoor pool and whirlpool Flying Spoons marketplace 4900 square feet of function space complimentary airport shuttle and self-parking. 145 Mulberry: 145 Mulberry is an in-hotel marketplace offering fresh and tasty food and beverage items /many to-go/. In-Room Dining: Relax in your two-room suite and enjoy In-Room Dining for either a snack or a sumptuous dinner.